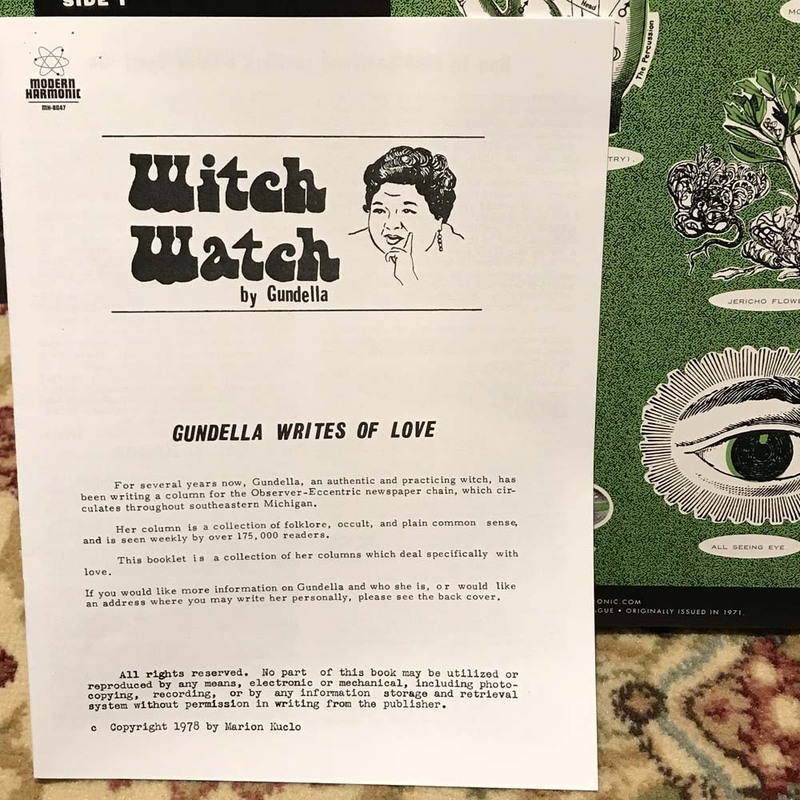 Even if you only play it during Halloween, Gundella’s Hour of the Witch is too awesome not to own. With warbling organ and atmospheric sound effects, this is the kind of album that can turn any party into a downright spooky soiree. 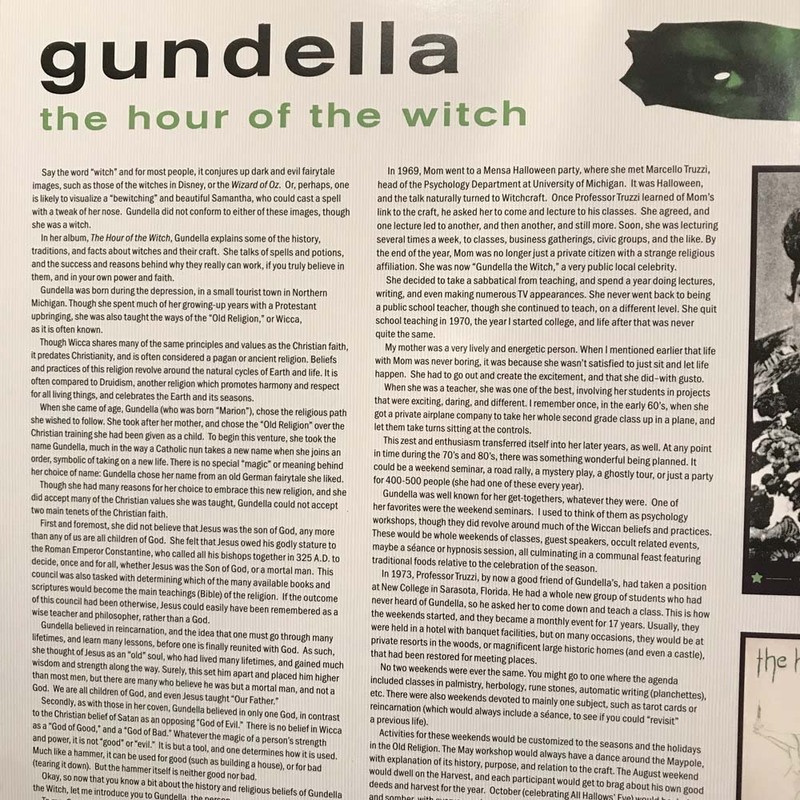 But who is this strange woman named Gundella, you might ask? To hear her tell it, she’s a “green witch” with lineage dating back to Scotland. She even begins the record with the declaration, “Yes, I am a witch,” just in case you didn’t get the hint already. 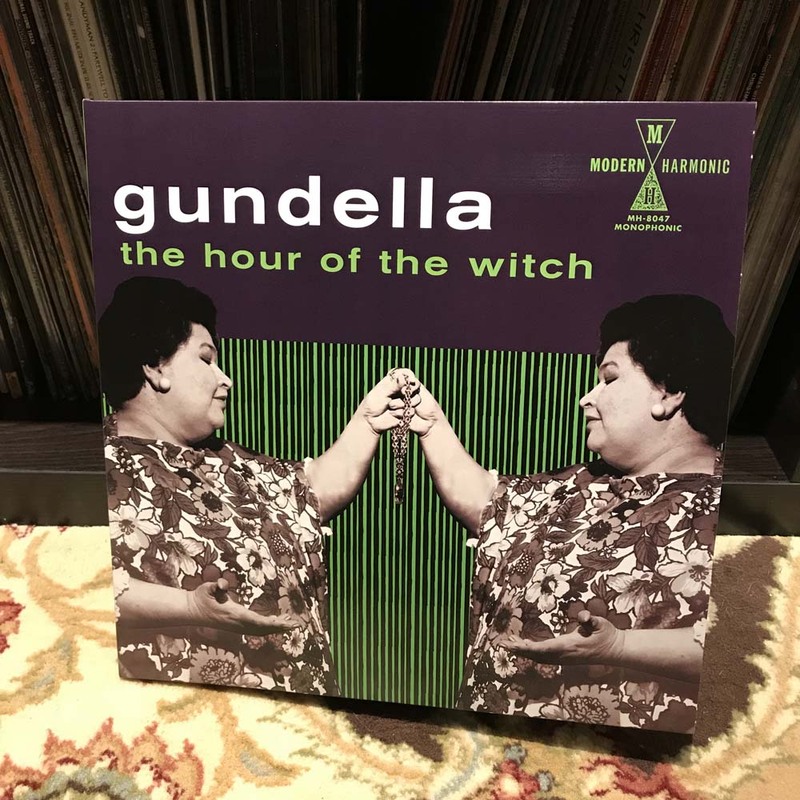 Gundella, at length, tells the listener all about her religion and its somewhat unorthodox traditions, such as smearing green food coloring over your skin during special occasions. It’s all a bit odd and even silly at times, but Gundella delivers it with a real conviction; she means every word she says. 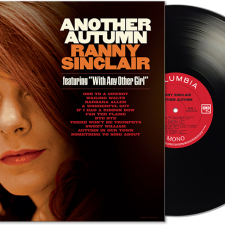 The rest of the album consists of various spells the listener can try on their own, such as “Spell to Make a Man Love You” and “Spell to Discourage an Unwanted Suitor.” And while the background music is sufficiently creepy (in a Hammer Horror kind of way), Gundella’s midwest accent is often at odds with the spooky setting they’re trying to create. 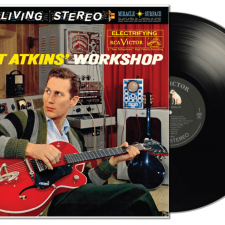 It’s a fun juxtaposition, and makes for an oddly charming listen. Gundella passed away in 1993, but her legacy lives on in this long out-of-print record. 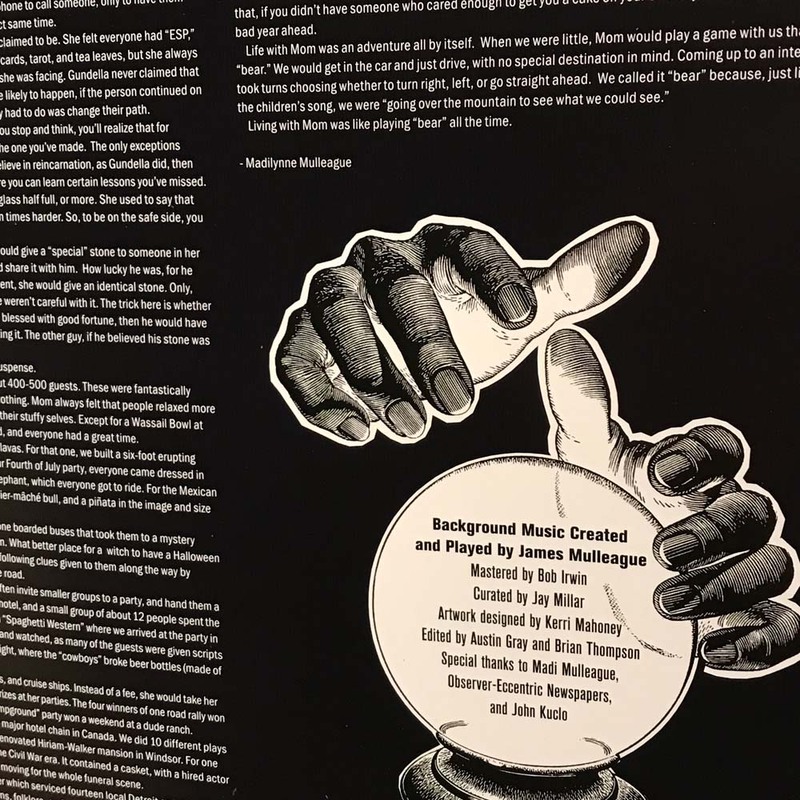 Inside the gatefold is a lengthy set of liner notes, lovingly written by her daughter Madilynne. You get a sense that Gundella was a real beacon of light in her community, working as a teacher and writing an advice column in the local paper. Modern Harmonic has included a booklet of her newspaper articles, titled “Witch Watch,” full of ancient spells and even a few recipes. 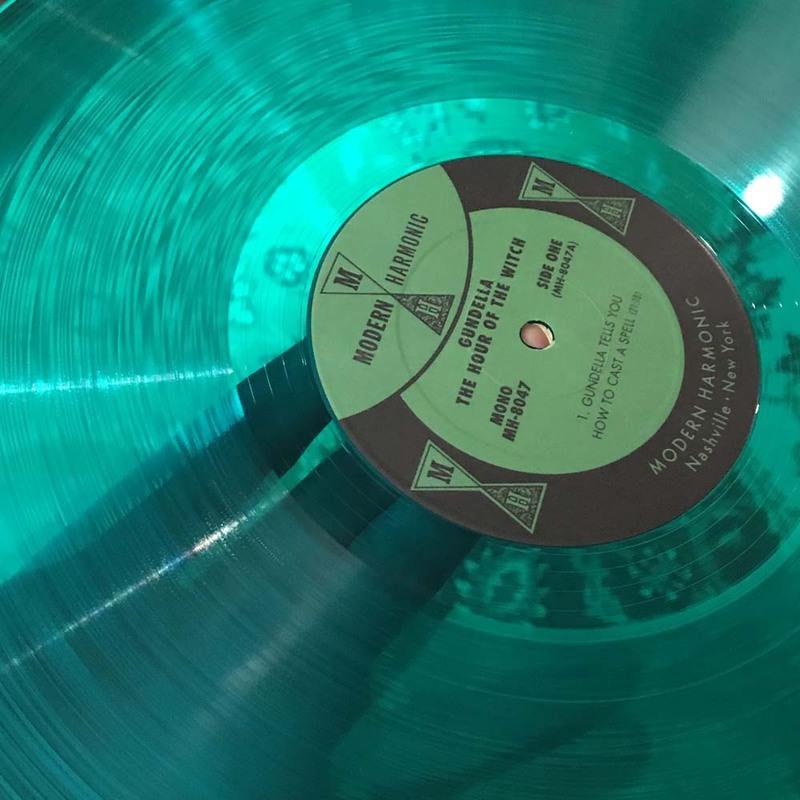 The vinyl itself is on “bewitching green” wax, and plays with no surface noise or defect. 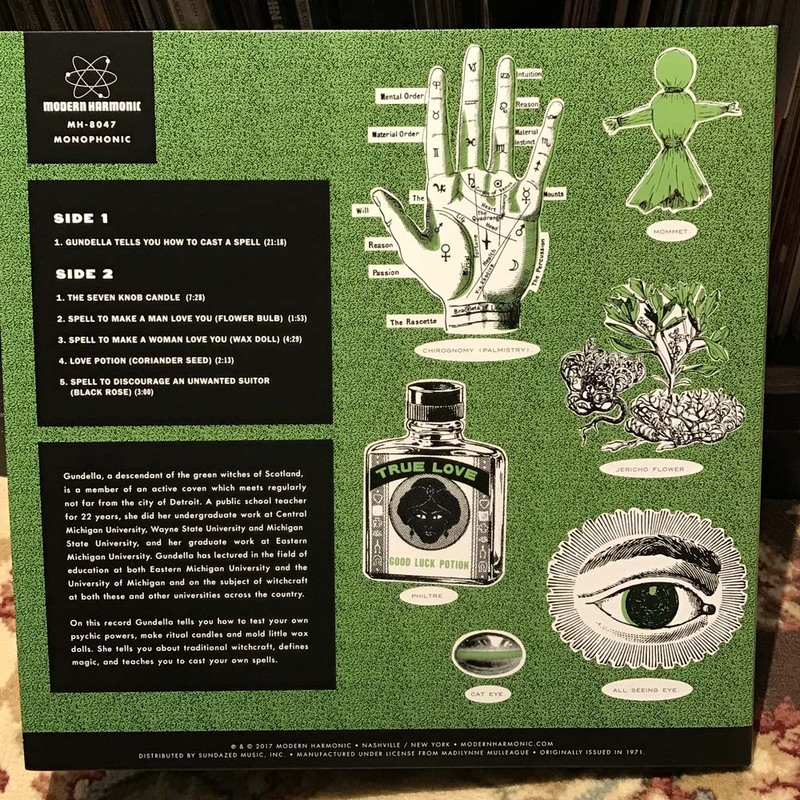 The Hour of the Witch is available on “bewitching green” vinyl at Modern Harmonic.